From a business standpoint, there comes a time when hiring a commercial cleaning company makes good economic sense. 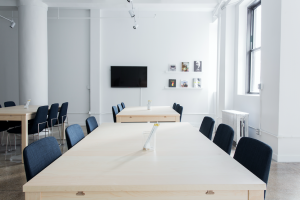 For office cleaning in Toronto, businesses large and small can derive a number of benefits when outsourcing to a commercial cleaning company. For a business owner thinking about office cleaning in Toronto, the ongoing benefits can quickly offset the overhead costs. For Many businesses, Internal Office Cleaning in Toronto is Fraught With Downsides and Can Get Unmanageable. Business owners and office managers who are looking to outsource office cleaning in Toronto, can rely on We Clean It to provide a customized cleaning package that suits. With the team at We Clean It, it’s possible to leave all cleaning responsibilities behind, and get down to day-to-day business. As a full service commercial cleaning company, We Clean It provides professional and reliable office cleaning in Toronto. When hiring We Clean It, business clients are assured of complete integrity, particularly when privacy is important to the specific business. Every cleaning crew takes the work seriously, without compromise, and regardless of how large or small the cleaning job. The team at We Clean It provides comprehensive cleaning services from end to end. Cleaning packages are designed to satisfy specific business requisites and client needs. For office cleaning in Toronto, clients can rest assured that services are provided as promised – on time – and on budget. Most importantly, the aim is to deliver good value, and beyond what can be achieved internally. We Clean It is a specialized commercial cleaning company that works closely with each client to plan and schedule a fully customized cleaning protocol. The objective is to deliver a cost effective alternative that makes outsourcing worthwhile. Cleaning packages include everything from restroom and kitchen cleaning, to matt service and carpet cleaning – with satisfaction assured every time. For business owners ready to outsource their office cleaning in Toronto, the professionals at We Clean It can provide specialized services beyond the routine. These services could include full maintenance of public-access restrooms; daily cleaning of employee kitchens; event cleanup for flood and water damage and restoration. In every one of these situations, cleaning services are complete and comprehensive. Hiring a commercial cleaning company is an investment and commitment at one time. For the business owner, the cost-benefit must make good sense and the service package has to be cost-effective over the long run. More than that, the outsourcing must relieve internal staff from cleaning responsibilities, allowing them to get down to business, which is what they were hired for. At We Clean It, cleaning crews are committed to the quality and integrity of their work. Employees are trained and qualified. And staff and management are at the forefront of cleaning products and equipment. Clients are assured of “green” cleaning products that are both effective and eco-friendly. The company makes every effort to ensure a “green” approach to office cleaning in Toronto. For more information about specific service packages, contact We Clean It at 416-255-6666 or visit the company’s website at www.wecleanit.ca . This entry was posted in Office Cleaning and tagged Commercial Cleaning Services, Janitorial Services, office cleaning. Bookmark the permalink.